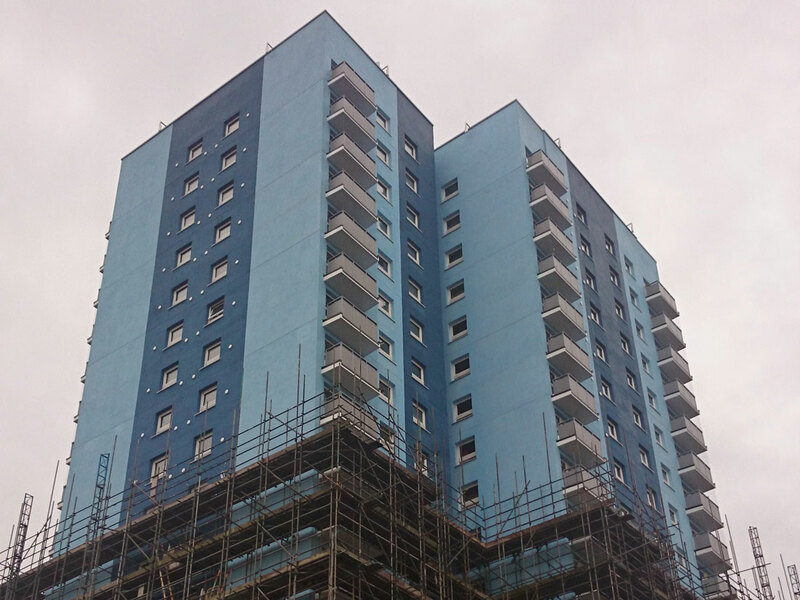 Two twenty storey tower blocks built in the 1960s of concrete frame construction with a no-fines inner leaf and brick outer leaf supported by reinforced concrete nibs. 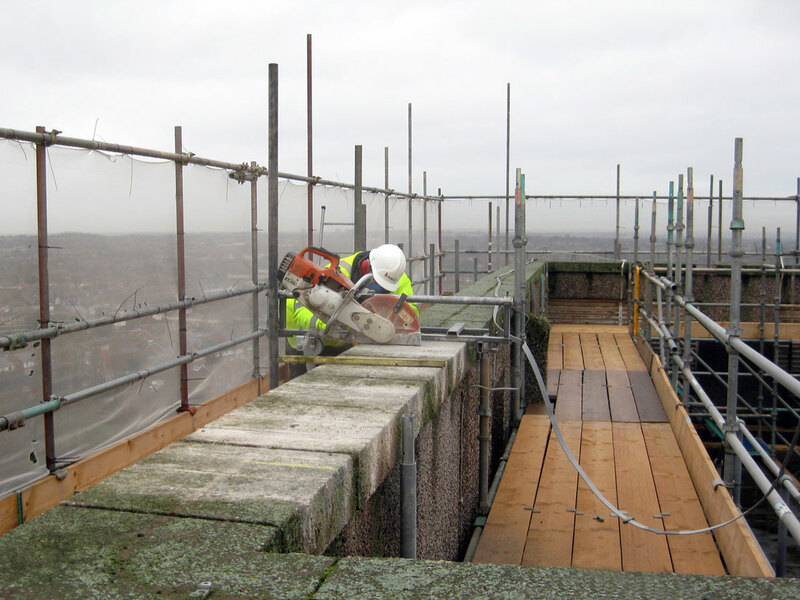 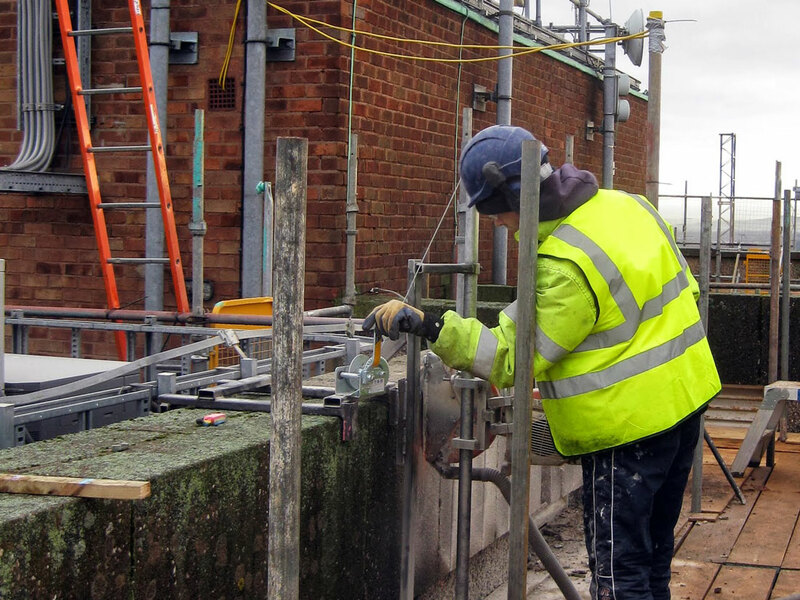 Extensive structural repairs were required before the installation of external wall insulation, which included remedial cavity wall ties, repairs to the lift motor rooms and the removal of U-Shaped reinforced concrete copings from the roof parapet walls. 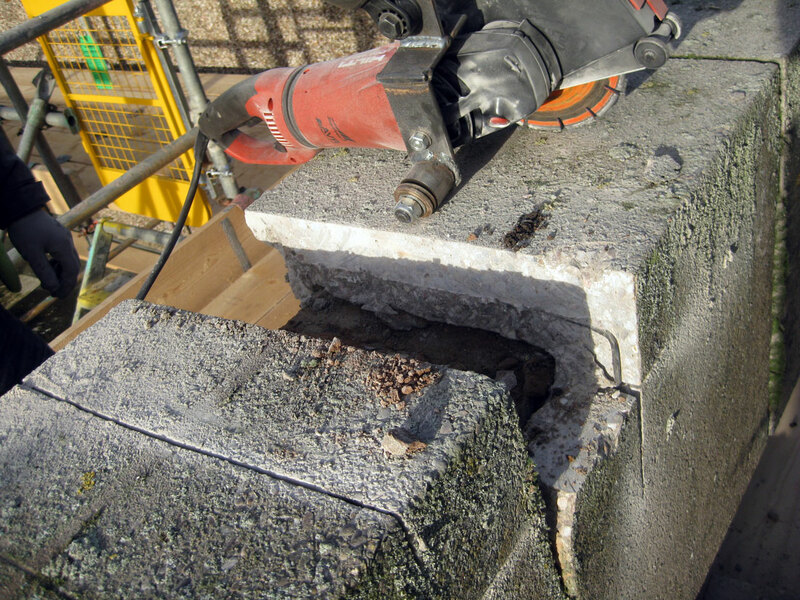 Bersche-Rolt site personnel removed over three hundred copings, each weighing in excess of 130 kg, using cutting equipment mounted on Bersche-Rolt designed rigs. 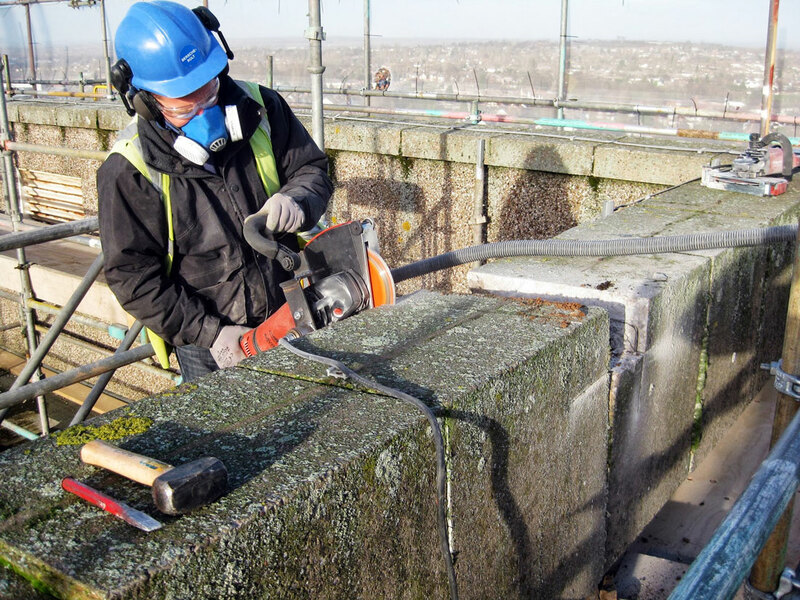 Each coping was cut into manageable pieces before removal, it being of paramount importance for vibration levels to be kept to a minimum to avoid disruption to the scaffolding. 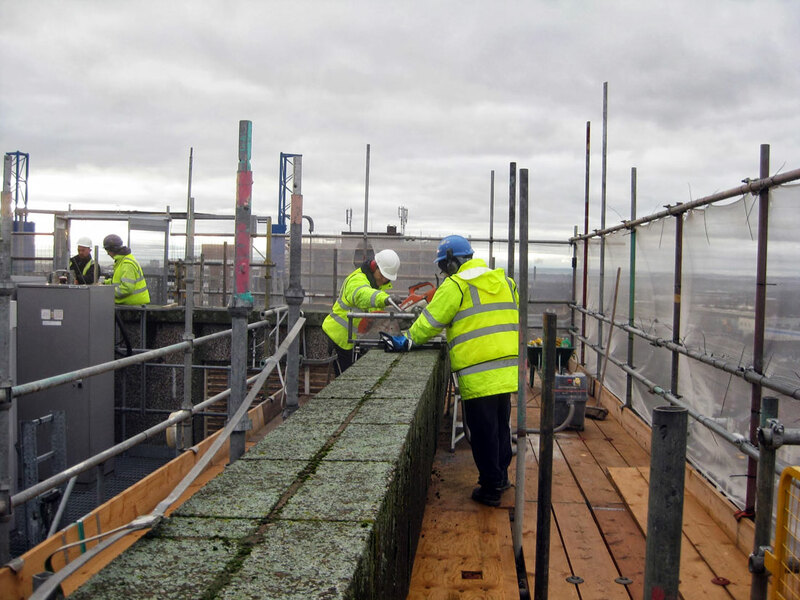 Remedial resin / resin cavity wall ties were also installed in the no-fines inner leaf by Bersche-Rolt site personnel in order to bring the density up to the standard required for the installation of the external wall insulation cladding system.